I started this week by waking up at crazy hours, feeling excited to be alive. I've already shared my excitement pertaining to this week's guest on the podcast. 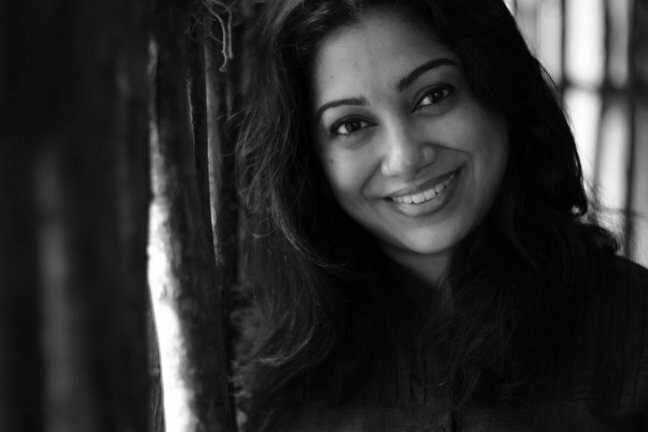 A lot of you probably know who it is and for those of you who haven't had the chance to tune in yet, there's no more need for suspense - it's the one and only Anjali menon, a renowned filmmaker from Kerala, my home state. Now, I could either use this space to list all the wonderful films Anjali has made and the various things she's achieved as a filmmaker (and trust me, this blog post could get really long) or I could tell you all about Anjali, the person. The person behind the camera, the person behind amazing story-telling and the person who shared an incredible story with me. But above all, the person who drove me to excellence and forced me to show up well-prepared. I'm sure you've guessed by now that I'm going to talk to you about Anjali, the person, and how this person made me feel. My first encounter with Anjali was through a tweet where her openness to talk to a mere nobody like me came as a little bit of surprise. And once I got over that surprise and saw that she was actually willing to set aside some time to talk to us, bit by bit, I started getting exposed to her incredible work ethic and professionalism. I always liked to believe that Meenal and I were pretty good at our "professional stalking", where we research the crap out of our guests before going into an interview. But this time around, without any warning, Anjali came sweeping in, benevolently helping us out by offering to send us links to her movies, her blog, and even saying things like "From your questions, I think it's important for you to watch my short film Happy Journey too. It was part of the anthology Kerala Cafe". It was the most incredible feeling to see that she was as interested and invested in the interview as we were. There was a method to her thought process and preparation before even an interview that we found extremely relatable and adorably nerdy. When we started the interview, at first, we experienced a few technical difficulties and Anjali sat there, cool as a cucumber, allowing us to guide her through the process. At one point during the interview, her phone rang and she said, "Oh, heavens! I'm so sorry, could you repeat that question?" although she was half-way through the answer, and then proceeded to repeat the whole answer for our benefit. She was the first guest ever to offer to test the audio quality before pressing record. So when I say she was extremely professional, I don't mean that just in terms of her correspondence with us. I mean that in terms of the way she stuck it out and saw this project through its completion. And then came the story - the story that we only knew very little about. Everyone looks at her today and sees her as the picture of success. But I'm sitting here today, thinking about that time of her life when she returned to India from London after completing her course in Filmmaking, with a script for her first film in hand, and a thousand dreams in her eyes. That Anjali never even dreamed that it would be ten years before that script saw the light of day... and still failed at the box office. Is Manjadikuru critically acclaimed? Yes. Has it won a lot of awards? Yep. Do I love it? HELL YEAH! Did a lot of people watch it? Nuh-uh. What I'm telling you now is just the tip of the iceberg. How she rose from the ashes, the lessons she learned along the way, and how she persevered - these are things you need to hear from her firsthand. There's a very stubbornly creative person sitting behind that pretty face, determined to entertain her audience. A calculating, perceptive presence that's always watching, always listening and immortalizing many characters that she has observed over the years. But more than anything, what I learned from this experience is that it must be a delight for people to work with her. Because boy, does she make an amazing mentor - silently pushing you to perfection without even the slightest shadow of interference. So to end this, I want to take inspiration from one of her blog posts where she explains that her name, Anjali, means "offering". I see this episode that she agreed to do with us as her offering to us, in order to enable us to become vessels in the process of sharing her incredible story. And I see this episode as our offering to you, in order to part-take in a wonderful narrative.